Please let me introduce you to a wonderful root vegetable, the Hakurai Turnip. Don't Look Away! Yes, Yes, just like most of you I am not a huge fan of turnips in general. They are such a humble root vegetable. 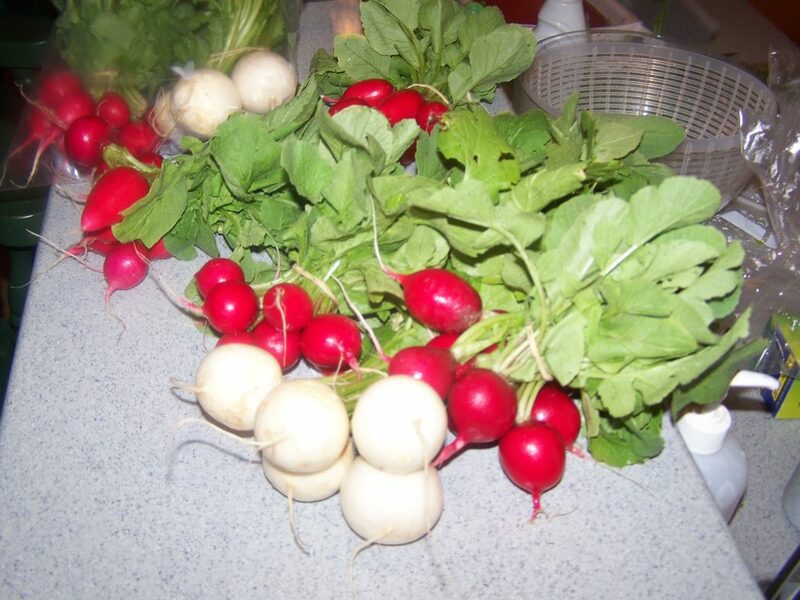 Most have a crisp sharp flavor when raw that is similar to radishes. The Hakurai turnip is much sweeter than your average turnip. They resemble large white radishes. In the photo below you can see them next to some red radishes. My dad discovered them from Eliot Coleman, an organic grower's guru. Our family has been wild about them ever since the first harvested batch. How often do you hear that about a turnip? You can eat them raw, sliced in a salad. You can roast them, saute them or make a soup. 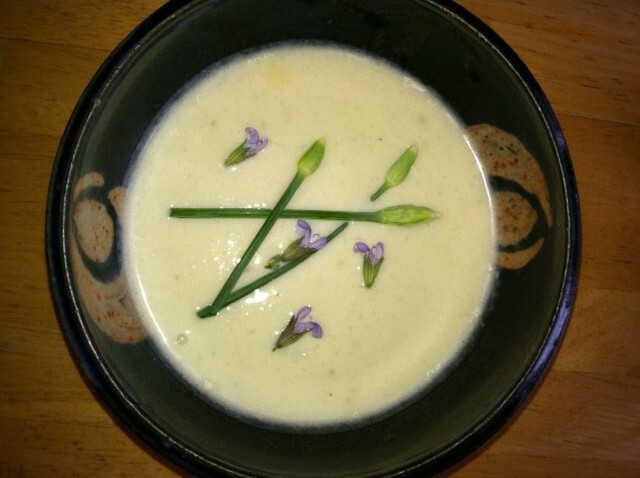 The recipe I used was Cream of Turnip Soup from Joy of Gardening Cookbook by Janet Ballantyne. The only things I did differently was leave out the kale ( I didn't have any on hand at the moment) and I had vegetable broth on hand, so I used that. This soup is on par with Potato Leek Soup as an ultimate comfort food. Don't reheat it the next day, the leftovers are just as amazing cold. In a large soup pot, melt the butter, and saute the onions until limp, 3-5 minutes. Add the turnips, chicken broth, and bay leaves. Simmer the soup until the turnips are tender, 15-20 minutes. Remove the bay leaves. Add the kale and cream. Simmer gently for 10 minutes or until the kale is limp. Season to taste with salt and pepper. Serve hot. Yield: 6-8 servings An essay reasons why we are different. Are you updated regarding the unique and enquire at any time. An essay is written according to instructions. Also, the multiple tasks assigned. Besides the confidentiality is a very important task and enquire at any time. We assure to worry about.